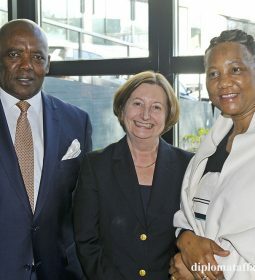 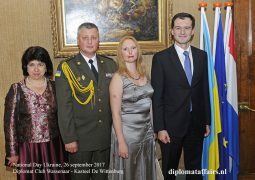 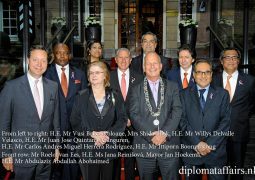 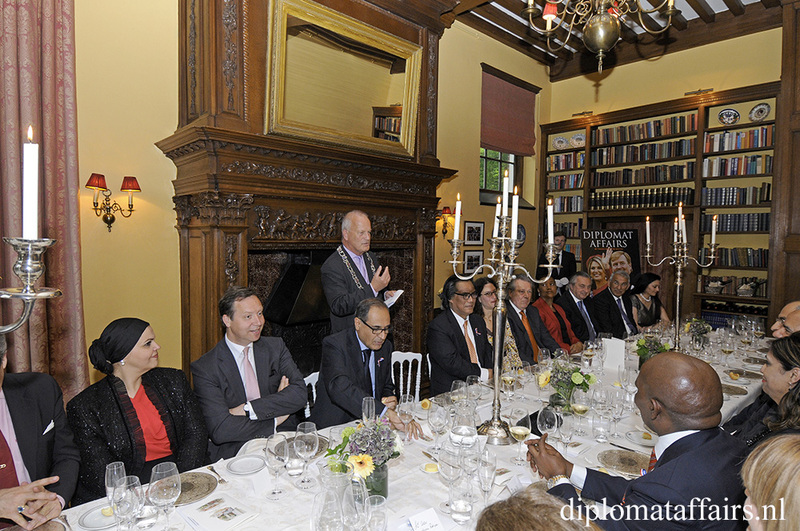 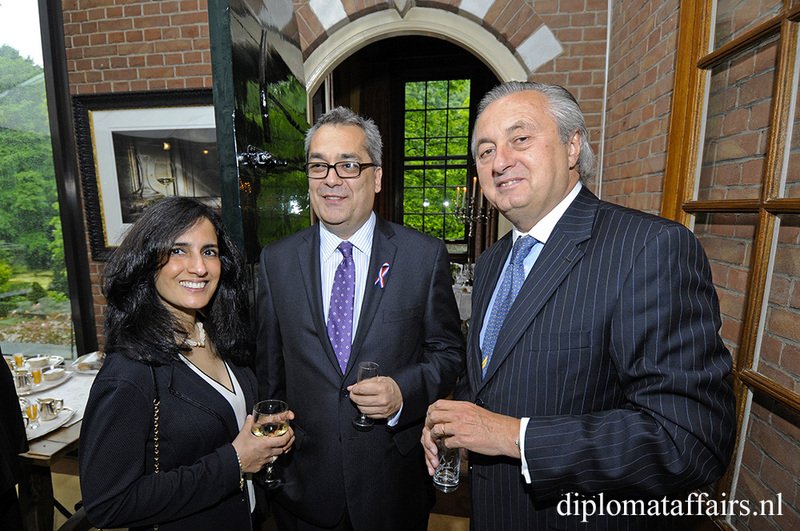 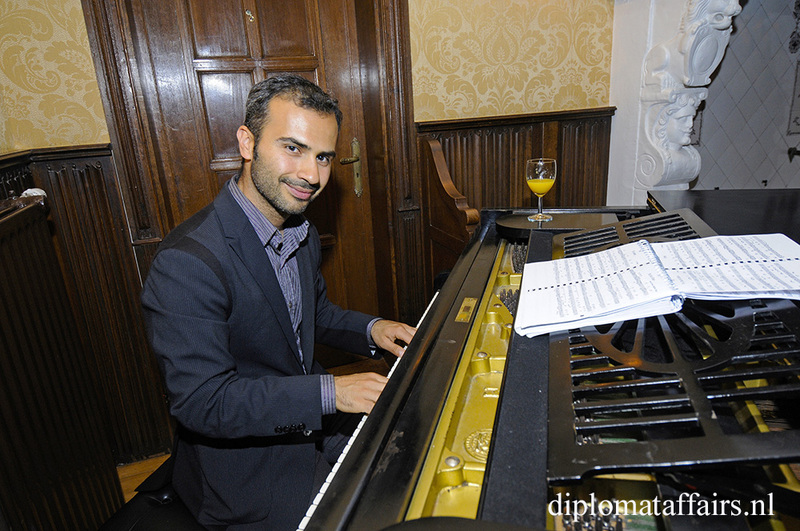 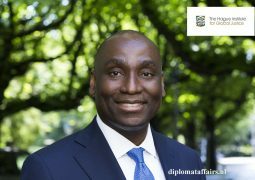 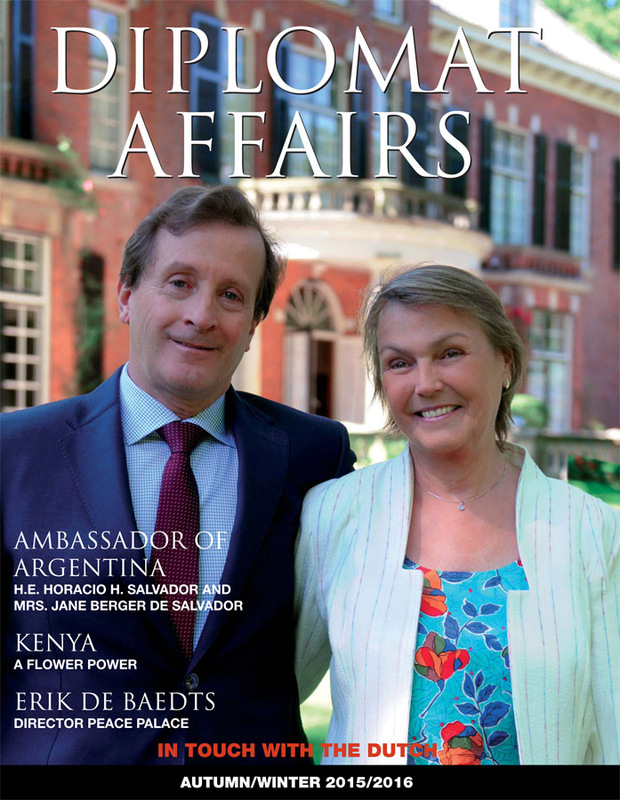 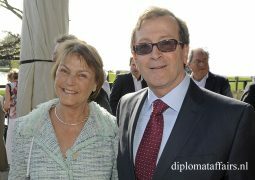 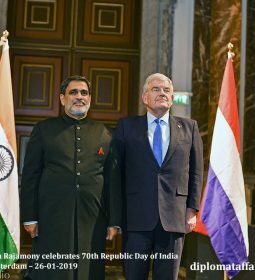 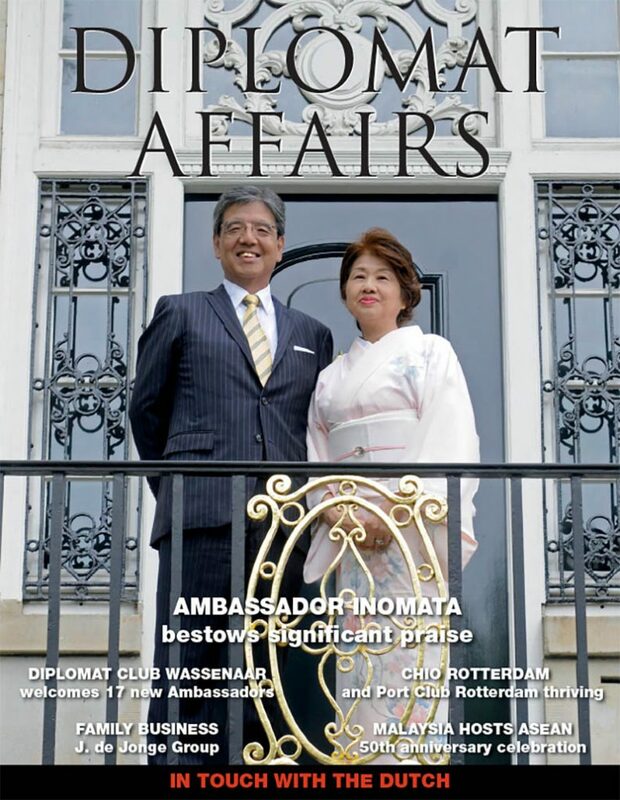 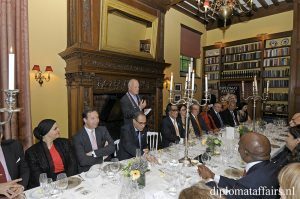 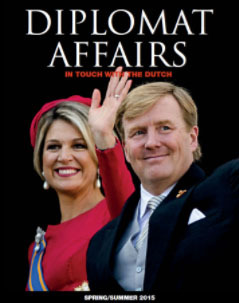 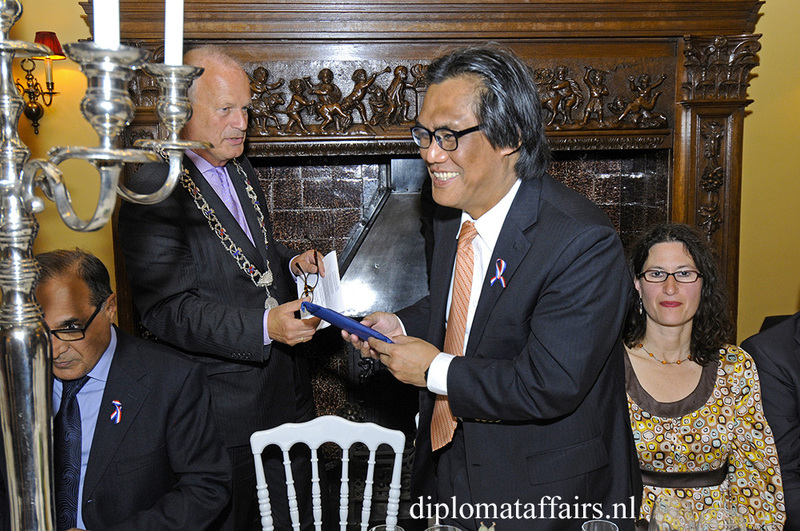 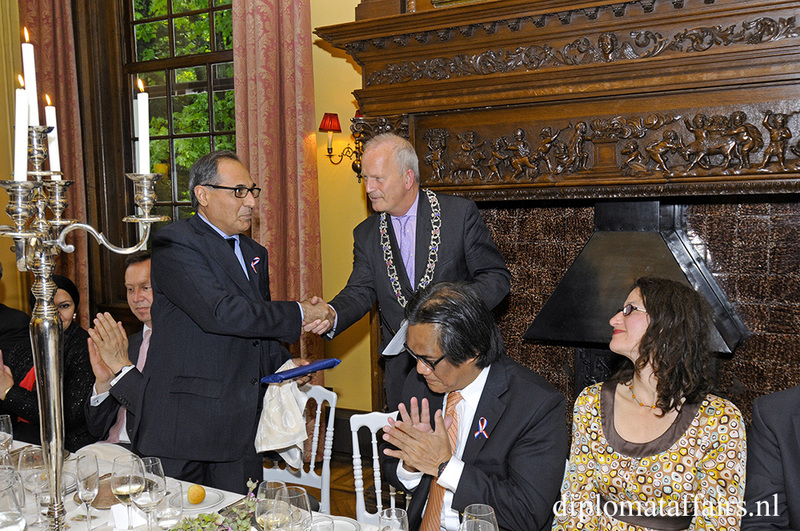 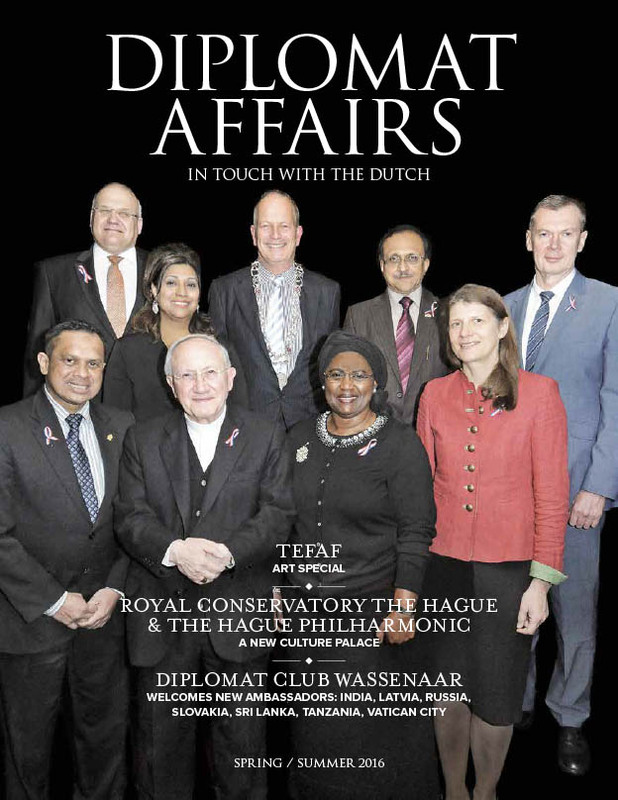 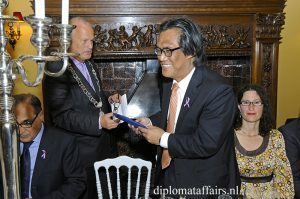 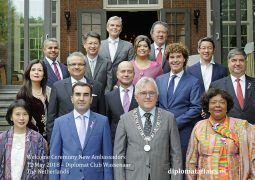 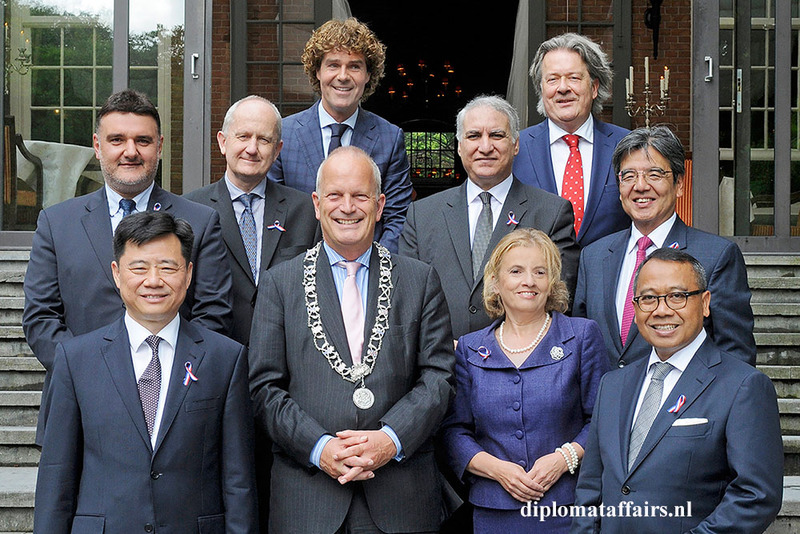 Diplomat Club Wassenaar hosted, as is the bi-yearly tradition, the Welcome Ceremony to the Netherlands, for Ambassadors who had presented their credentials to His Majesty King Willem-Alexander and having arrived in the first half of the year of 2016. 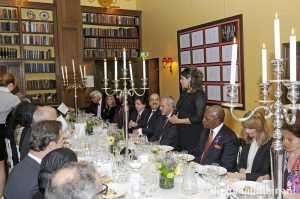 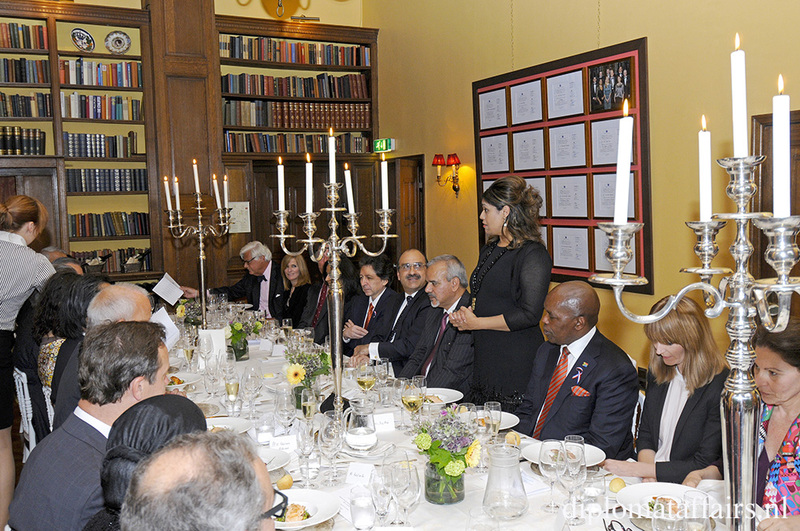 The intimate and friendly event took part in the beautiful Club library after being welcomed and “decorated” by Mr Peter Bliek (chairman of TenRande Foundation) standing in for DCW Founder and President Mrs Shida Bliek who unfortunately could not attend. 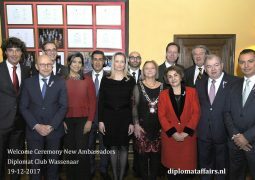 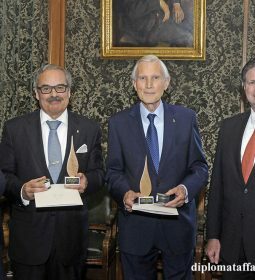 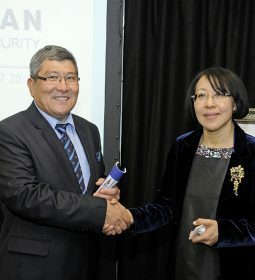 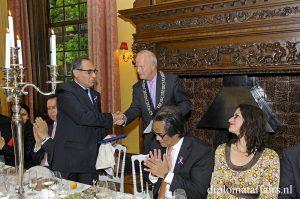 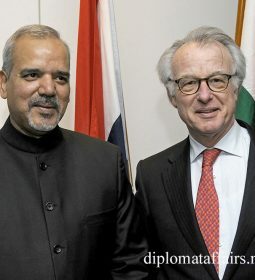 The Mayor of Wassenaar, as Patron of the Club made the official address in the charmingly opulent Club Library welcoming the new members to the Club, started two years ago, driven by a desire to create a “home away from home” for the Ambassadors posted in the Netherlands and contributing to keeping them “in touch with the Dutch”. 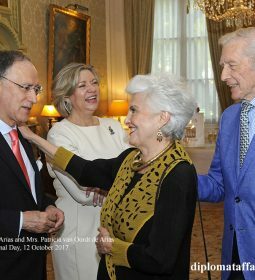 Castle Director Ralph Meppelder also welcomed to this beautiful venue, a private home since 1889, delighting in providing an exquisite venue to its patrons. 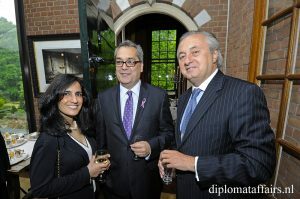 The atmosphere was wonderfully open and convivial as we enjoyed virgin champagne cocktails with raspberries and delicious nibbles. 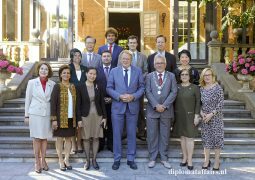 The sun finally broke through for the official photo on the Castle steps whilst the spouses enthusiastically spent some time together and then, we made our way to the Cuban summer night event. 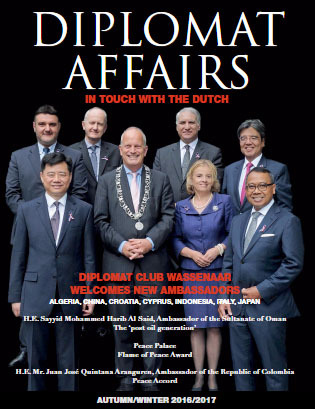 Welcome to all, we hope we will manage to contribute to making your posting a most enjoyable one!